Daisy Jones grew up in L.A. with everything and nothing at all. A child of the 60’s, she was beautiful, young and humming along to the music scene erupting on the Sunset Strip. Her parents had no idea where she was. Along comes The Six, a band from the east coast hoping to make it big. They have a mix of solid musicians and a frontman named Billy Dunne oozing that special something the fans craves. Daisy Jones & The Six write hit after hit. Billy struggles with the music he lives for and the husband and father he yearns to be. The dangerous magnetism between Daisy and Billy is what makes rock stars and also what everyone fears will tear them apart. Written as a running interview, this incredibly unique novel of love, passion and friendship follows an iconic band through the 70’s; a world overflowing with peace, love and rock’n roll. 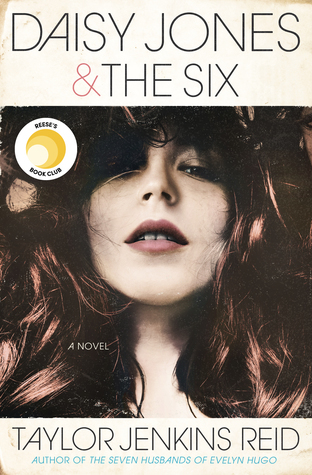 If you enjoyed the movie Almost Famous, you are sure to be swept away by Daisy Jones & The Six. Get your copy and get comfortable because this one sitting read will leave you speechless.